Las Vegas the most happening place in the world had some more dazzle in early January. The Consumer Electronic Show lit up the LA to new heights this year. 2017 (Jan 5th – 8th) is marking of the 50th year of the show. If the size, quality and applicability to consumer is the yard stick, it is getting bigger and better every year. 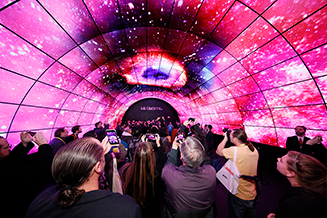 The CES 2017 ensured the consumer get the peek into the future world of electronics. The reality of having a Butler Robot to take care of house needs is getting closer. The automatic driver less car taking you to the right destination is almost there, listening to the voice of “Your Voice is my command” is so cool – Making the Home environment change based on my command, brewing the vine to recording my favorite show, Ordering food and the drone delivery of it , it was all there. From my perspective, the Quantum LED wall panel stole the show, the amazing clarity does bring attention of the people . All TV manufacturers from Samsung to LG showcased their product. The wearable section was awesome. The startrek looking watch to practical heart beat monitor made every visitor get their appetite wet. We will talk about companies and product that has some impact to Indian Market. The applicability of product in Indian Market or the adaptation of product through different avatar based on “Applicable” use case. Every day, We in India waste lot of food grains that are spoiled due to moisture or due to non monitoring of the container. The farmer face a good amount of loss due to this. One of the exhibitor “Amber Agriculture” came up with a small sensor and an accompanying app that will help the farmer and stockist to know about the seeds condition and be proactive about it. We saw lot of “Smoke and Mirror” with IOT There some , which were like sending man to Mars. We picked those that are applicable , relevant and kept it in simple. The Amber Agriculture solution definitely stood first. For catering the logistics needs of disable, the product called “WHILL M” was showcased. I was awe struck with its maneuverability and Rigidity. Think of it as an ATV for Wheel chair. 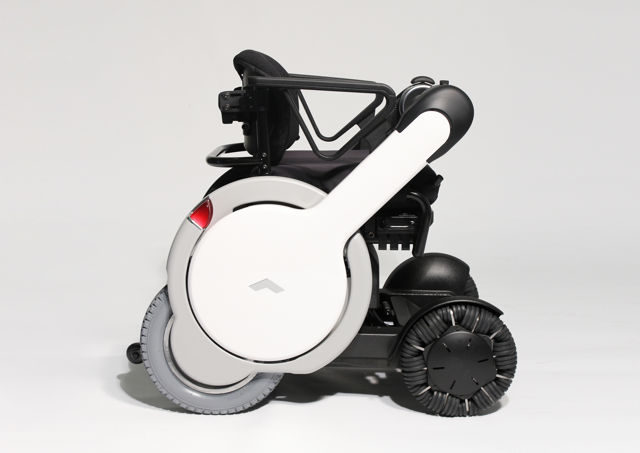 The Wheels are made to with stand rough surface and the balance of the chair is kept to ensure stability. The product helps movement of disabled with ease in road and ramp conditions of India. To kickstart on Home and office automation on smart energy. 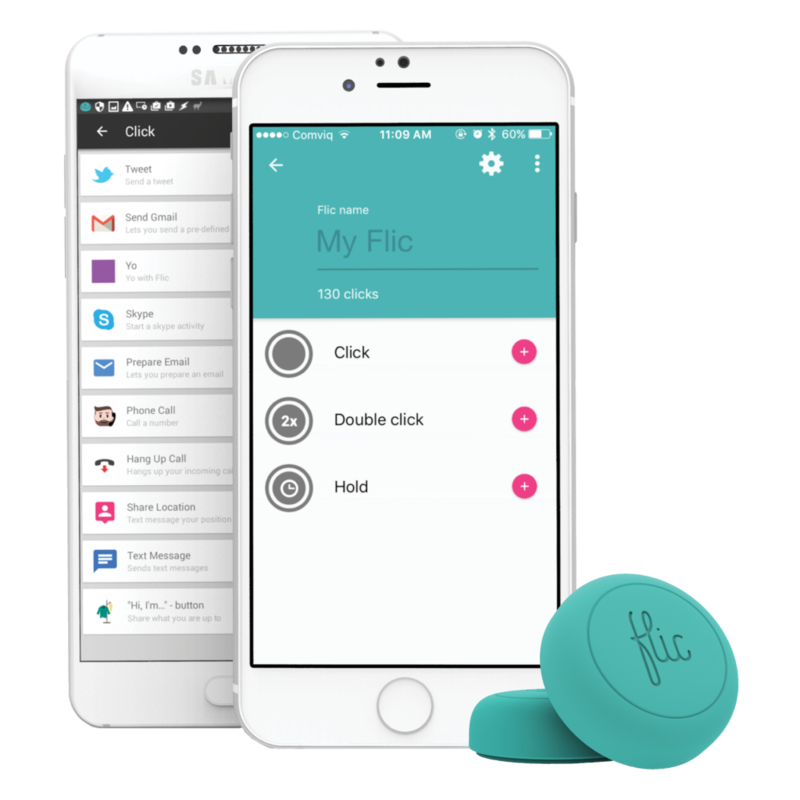 The Flic “Smart Button” is kind of one product solution for all IOT needs. It is integrated with your smartphone or IOS can you control the world through the button. I see lot of applicability for Home and Office automation through this. The electronic vehicle has become more powerful. The Formula E saw amazing attendance and the power built with the electric vehicle are getting better and better. I would not be surprised to see a big surge in EV sales this year to consumers. Last , but not least. The driver-less car. No words to describe it. This is going to be the future. I wish to see Bangalore to Electronic city to be driven by Driver-less car. Future is here already. Let us embrace it.